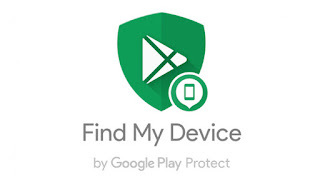 Find My Device is the one of the finest feature being provided by Google for its Android users which indeed helps to track a misplaced device. The service has now got an update that will help to track their device to 100% percent. Google also updated its Maps app that allowed users to connect with Businesses around you. It is worth adding that the search giant last year launched a feature that allowed customers to send messages to Businesses from their Business Profiles on Google. The same is now integrated inside the Google Maps app. It has been explained that users will start seeing those messages that they had with businesses inside the Maps app and can continue chatting from there itself. The option can be found in the side menu of both Google Maps for both Android and iOS. Google said that these new changes are mainly focused on making the things discoverable and easier to use. The changes will help users to find the specific settings, view and make the necessary changes. Use can also view privacy settings, manage account storage, change personal information and many others. With the addition of four new tabs at the bottom for Account, Search, Support and Menu, users can now access the specific setting quickly. Swiping left or right at the bar at the bottom of Home tab lets you navigate from section to section. Alternatively, users can also use the Menu tab to jump directly to the specific section.